A tribute to those lost at sea. 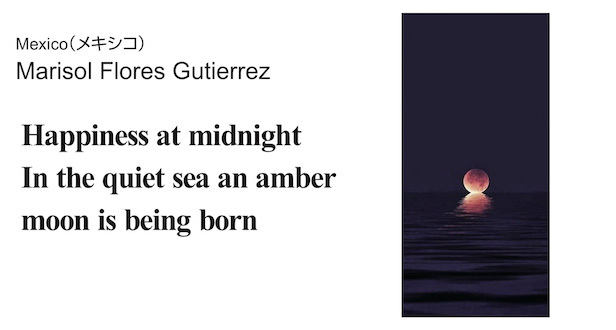 The more you read this haiku aloud, the more it sounds like the sea. An author and literary critic who once taught literature and writing in the US, Mel Goldberg now lives in a recreational vehicle in the village of Ajijic in Jalisco, Mexico. A perfect photograph to match with an uplifting haiku. 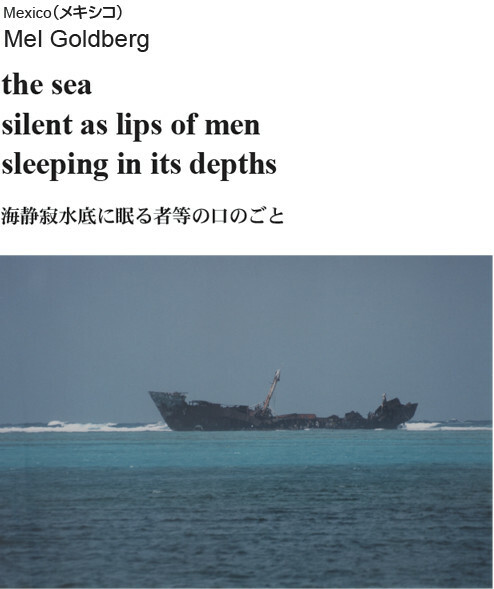 Reminiscent of Dr Akito Arima's selection of "After the storm / A boy wiping the sky / From the tables by Darko Plazanin Sambo in Yugoslavia for the Ehime Prefecture first prize in 1990 at the National Cultural Festival. It was refreshing to read this pithy haiku, especially now that everyone around the world seems to be using liquid soap. Slightly irritating, yet the feel of marine sand stuck to a soap bar is nostalgic of the simple life by the sea. Happily, Dogo Onsen continues to provide its patrons with small soap bars. Author of "sleeping rhinoceros" (2018), and prize-winner of English haiku at the 29th National Cultural Festival of Japan, Jiro Oba lives in Kawasaki.